Effectively a festival and conference in one, The Next Web (TNW) Conference is an annual gathering with the tag line ‘innovation through inspiration’. 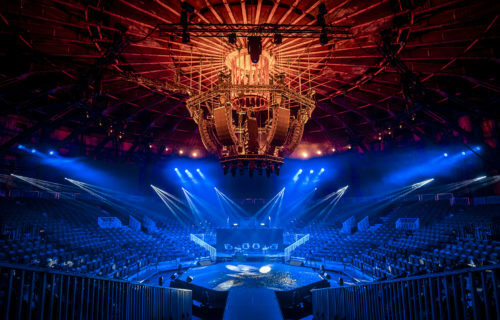 As one of the biggest and most influential European events for promoting and inspiring new technology, it is fitting that Alcons Audio systems are used throughout. TNW2018 was the 13th year of the event, which has grown from around 200 attendees to over 15000. Backed by a number of major brands, it is held in Amsterdam’s Westerpark in late May. 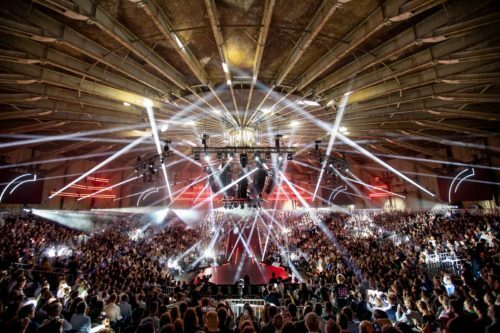 Jurjen ‘Jur’ Hesseling – founder of event production company JUR (formerly Jurlights) – has provided the production infrastructure for the event since it began. Westerpark includes the former Westergasfabriek gas works site, whose Dutch Neo Renaissance-style buildings are now used for a range of events. Its biggest space is the Gashouder, a former gas holder which has been repurposed as a 3100-capacity, circular venue. 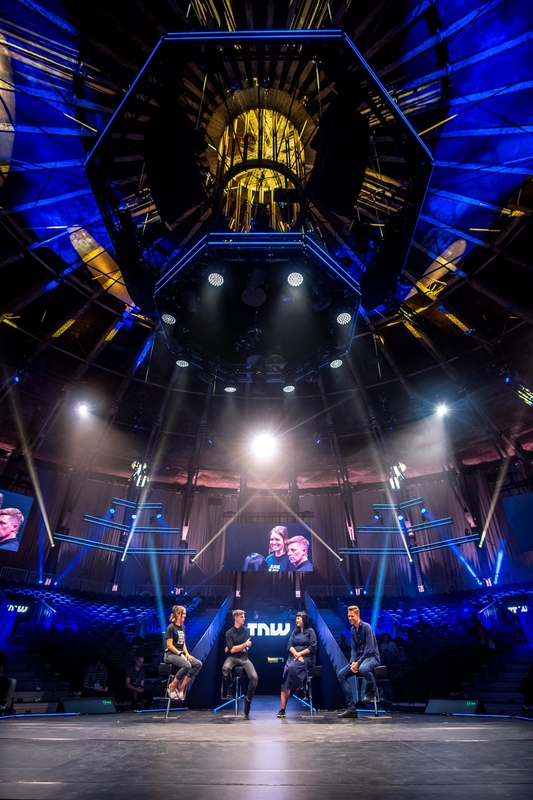 This was the centrepiece of TNW2018, where Jur used Alcons LR18 Compact mid-size line array modules to deliver the event’s first in-the-round presentation space. Being a giant cylinder with a volume of nearly 132000m3, Gashouder has very difficult acoustics. 53.8m in diameter and 14.5m high, its 5m high circular brick wall is topped with several more metres of vertical steel, which then forms the roof. “There are a lot of drapes, but significant acoustic challenges remain. However, Alcons speakers can be aimed so accurately that we were able to design a perfectly-focused centre cluster, which overcame any issues,” says Jur. 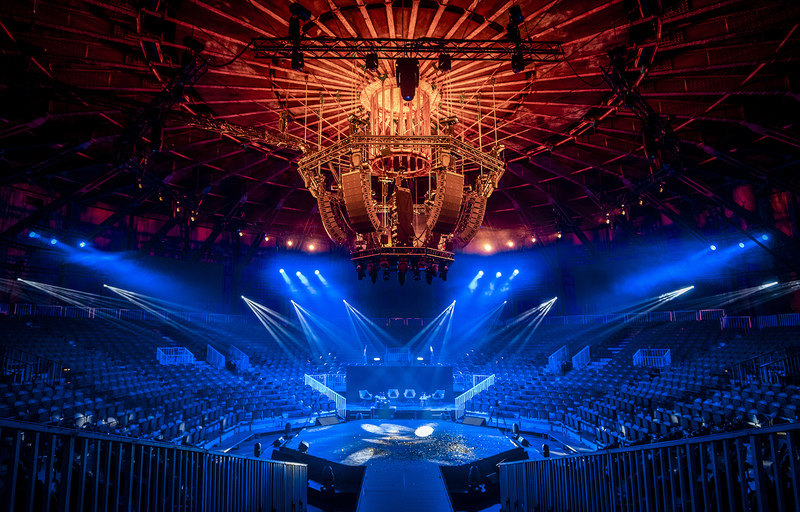 The circular centre cluster featured six arrays of nine LR18, complemented by six BC543 very high-output cardioid subwoofers. The system had to deliver speech and playback for presentations, as well as live music for the event’s opening show. 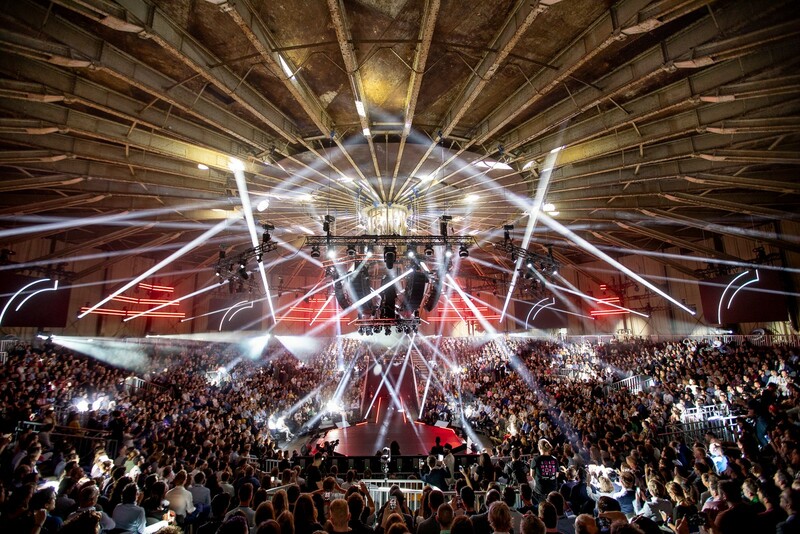 As well as the Gashouder system, JUR used many more Alcons systems throughout TNW2018. This included a system of 24 LR14 ultra-compact line-array modules in a second 600-capacity area, several systems of VR12 mid-size versatile monitors and BF181 compact subwoofers for audiences of 200-300 and many smaller spaces using VR12s or VR8 compact versatile monitors. “The organisers are very familiar with Alcons systems. Every year they say ‘make it great again’ and they look forward to the results, because they know we will,” says Jur. “They give us a lot of freedom, but with it comes responsibility. More information on www.jur.show and www.thenextweb.com .